M-Edge products, Glimpse Series, Hybrid Case for Samsung Galaxy S6. 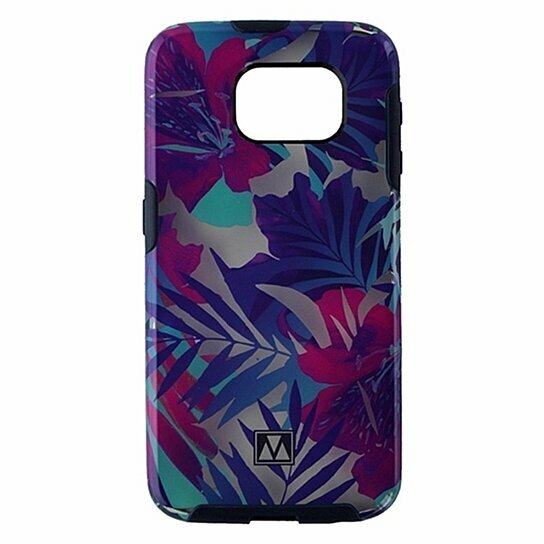 Clear hardshell backing with Purple, Blue, and Pink flower and leaves design. Soft Dark Blue shock absorbing border trim. Scratch resistant coating.